After how disappointed I was with the Mudpie McFlurry last week, I almost didn't try the Strawberry Shortcake variant out of spite, but my girlfriend wanted something sweet, so if we were going to be buying ice cream anyway, might as well have tried it. I don't know who did the naming for this promo, but they deserved to be fired. I can almost accept the Mudpie naming, but really, this is about as far from a real Shortcake as possible. 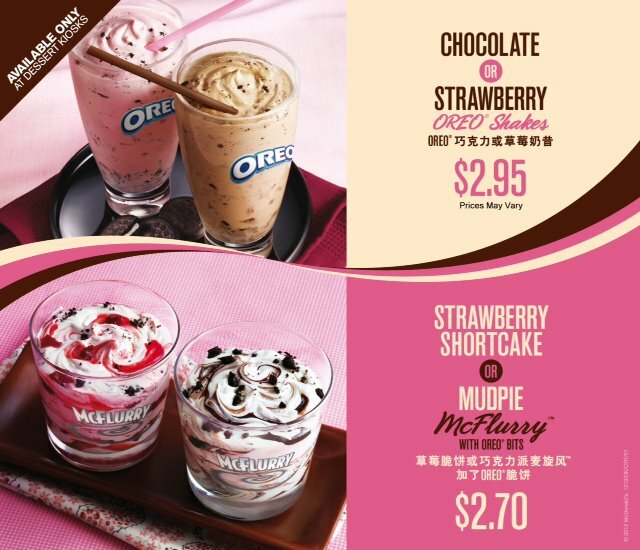 I can almost assume that they just chose a random dessert with Strawberry in the name so they can sell this variant of the Oreo McFlurry. 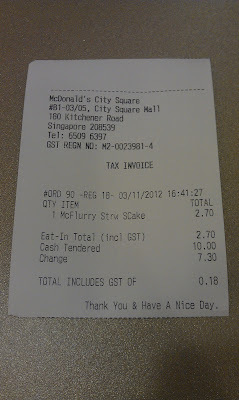 I ordered this at the dessert kiosk of the City Square Mall branch of McDonald's, it was pretty busy, but we were able to find a table easy enough. The McFlurry had a decent amount of Oreo crumble on top, just as the Mudpie McFlurry did, but rather than being mixed with chocolate syrup, they use the strawberry sundae sauce. 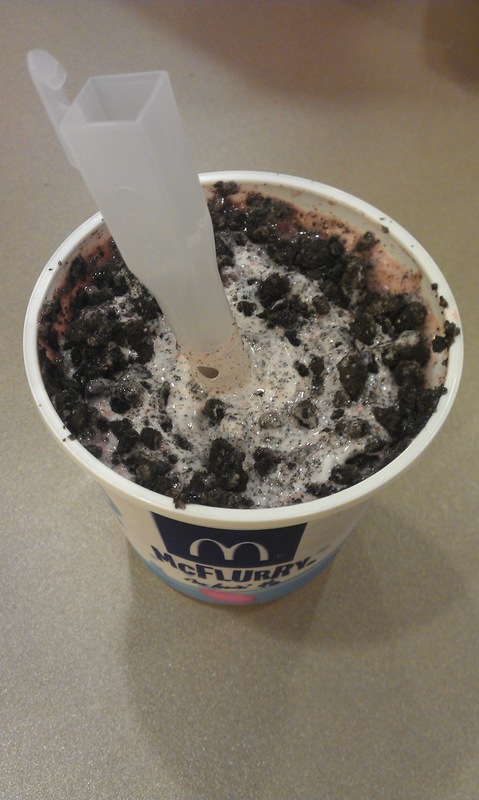 I don't know if it was because I was coming in with lower expectations, or that it was actually better than the Mudpie, but I enjoyed it more. 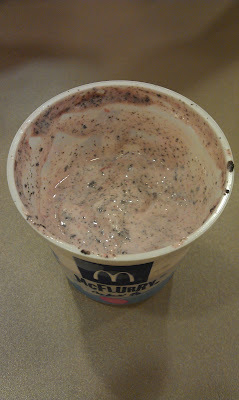 The strawberry syrup mixed well with the Oreo pieces, and there was generous serving of both the crumble, as well as the syrup, so the entire ice cream could be coated with the flavour. Just thought I would let everyone know, that this is post #100! Thanks for reading! 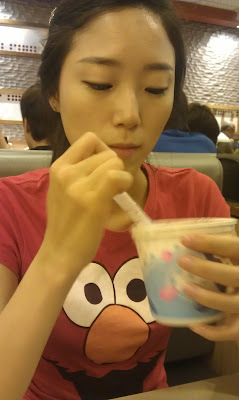 Hope you enjoy reading as much as I do hunting down and trying new items!